Latest Huawei P8 Lite B616 Marshmallow Firmware starts rolling out for ALE-L21 variant. The update optimizes the calling feature and the UI text display on some interfaces. If you want to flash stock B616 on Huawei P8 Lite, then you are in right place. 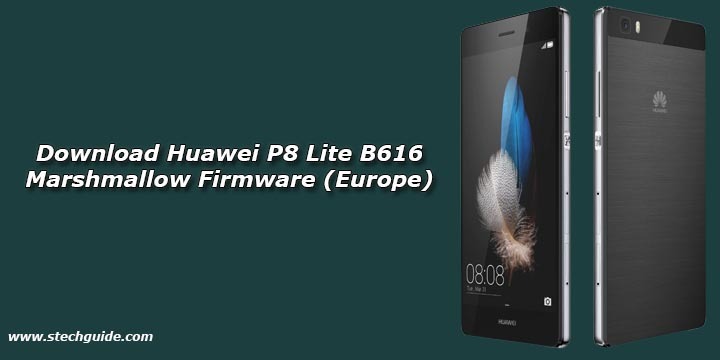 Here we provide you the Official Huawei P8 Lite B616 Stock Marshmallow Firmware for European variant ALE-L21. Download Huawei P8 Lite B616 Marshmallow Firmware (Europe) from below. 1) First, download B616 OTA Update for Huawei P8 Lite from above and extract it. 1) Download B616 update for Huawei P8 Lite from above and extract it. Download Huawei P8 Lite B616 Marshmallow Firmware and share it with your friends. If you have any questions comment below.